The Bureau of Land Management confirmed today that Cloud, a wild horse beloved by millions of fans of the PBS series “Nature” is injured. Horseback Magazine asked Billings, Montana Field Manager Jim Sparks if the agency sent someone up Pryor Mountain to determine the number of horses still injured after a roundup held over Labor Day week. Cloud was observed licking his right leg late last week by Emmy Award winning documentary filmmaker Ginger Kathrens . She had shot video of the horse limping immediately after his release more than two weeks before.. The day’s gather consisted of the capture of several small groups of horses. All groups of horses were examined within minutes of capture for signs of heat stress or excessive exertion from being captured in the heat. No sign of heat stress or exertion were observed. The horses went into pens with water upon arrival at the capture facility. all off of the southern tip of the range which is located in Wyoming. All animals were prepped in a quiet, humane and orderly manner, which included hair collection, fertility control as warranted and marking with paint for those animals to be returned to the range. I took the opportunity to look at each horse closely and found them generally to be in good flesh and with the overall appearance of good health. The animals then went to pens with food and water for the evening. The hay was grass hay that was clean of weeds, mold free and fed in adequate amounts. The pens were not overcrowded and the animals had settled in within minutes and were eating the hay. A three year old mare that is quite thin and her foal will be kept in and fed for several weeks to build her up for winter. was warming up those horses were not pursued. The 20 head were prepped quietly and quickly and other than the horses slated for adoption the remainder were trailered back to The Dryhead area. Almost all of the horses were in good shape (BCS 4+/5) and had no gather related injuries. None of the mares injected with PZP had any visible injection site blemishes. Again all of the animals in the corral were well fed and watered. Tomorrow’s gather will be Commissary Ridge with the plan to remove all of the horses there as they are outside the PMWHR and on Forest Service land. were gathered by helicopter quickly into the trap with minimal stress. I estimate 24 horses were gathered over three hours and trailered down to Britton Springs. On the way down one of the trailers hauling horses had one set of wheels slide off of the road. The trailer was stuck for about 30 minutes. When the trailer was freed and arrived at Britton Springs I watched the horses unload and carefully checked for injury. I saw none. The first group of adoption horses were then prepped which entails a blood draw for Coggins, vaccination against the common horse diseases and freeze branding. Dr. Lyle Bischoff from Lovell, WY did the EIA testing. 35 horses were processed by 6 pm. During the processing two horses jumped out of the side of the chute but neither incurred any injuries or escaped. The preparation crew worked quietly and efficiently with minimal stress on the horses or the workers. We’ve been changing the way we process the horses here, with help from our workers compensation law firm, we are making sure it is safer for all involved. All of the horses were well fed and watered in pens of proper size. None of the previously injected mares had any visible injection site lumps. five more horses on Commissary Ridge were gathered by 8:30 am and hauled to Britton Springs. The portable trap was dismantled and the crew moved down to Britton Springs. The helicopter started gathering the west side of Pryor Mtn. and brought in 2 groups totaling about 31 head. By 2 pm the temperature was sufficiently warm that gathering operations for the day were ceased. The animals were sorted and the release horses were sampled for genetic testing and administered fertility control as needed. No adoption horse prepping was done. Once again the BLM crew worked efficiently and had no horse escapes or untoward incidents of any kind. The animals were handled humanely and showed no undue stress upon release from the chute. The fertility control mares remain free of visible injection site reactions. All of the animals had adequate pen space and ample food and water. The thin three year old mare and her foal that were sorted off on day 1 are doing well. The mare now has a visible udder and the foal seems to be getting more milk. It was too windy to fly until late morning. Approximately thirty six head captured today, including “Cloud” and his harem. We prepped 12 head for adoption, released 11 head from the pens and PZP injected several mares. Everything in the trap looked good and well fed. About 5:30 pm one of the mares (Brumby) from the last group in began to show symptoms reminiscent of tying up. She was treated with Banamine and began to show improvement within 15 minutes. Within two hours she was nearly normal. Just after I left for the evening, one of Cloud’s mares started getting colicky. It about 6:30 pm when they crew called me on the cell phone. I turned around and returned to Britton Springs. Due to her wild nature, I could only do a cursory examination. She was definitely colicky and she was treated with Banamine and Torbugesic and returned to her pen. She was standing quietly when I left. I will be back at Britton Springs at 7 am to check on our patients and get ready for the days work. several sore footed animals. Because of this and many other factors Jared Bybee ended the capture portion of this operation. The total capture was up to around 146 head which was considered close enough to the target to make this the last capture day. We worked the animals through the chutes collecting hair samples and marking them for release. Two foals were quite sore footed. They were out of young mares that did not appear to be milking well and also had some degree of stress from the trip in and going through the chute. I had concerns about potential stress and hydration issues and I made the decision to postpone treatment till morning when they had recovered some. I walked through all the pens and with the exception of the foals everything looked good. No injection site blemishes were present and the colic horse and the possible tying up horse both looked good. All of the pens had adequate feed and water without any overcrowding. as far as the use of the helicopter. What I saw was the animals moving slowly at either a walk or a trot guided by the helicopter till the last several hundred yards and the pace was increased to a gallop till the animals passed through the outer gate into the capture pens. I always looked over the animals within minutes of their capture and even with temperatures in the 90’s I never saw what I considered sweated up, tired horses that had been run a long ways. The most common scenario was the animals mildly sweated along their necks and many went to eating and drinking within minutes of their arrival at Britton Springs. The last groups captured had traveled the farthest and had recovery time of about 20-30 minutes. chute area. To me it seemed to interfere with the flow of things. I suppose the extra people made extra noise and their presence agitated the horses further, made it more difficult for the prep crew to concentrate on their jobs and we always had to stop to wait for people in the alley ways to clear out so we could move horses. One morning we prepped a group of horses at 7 am, before so many people had arrived and it was the smoothest and least stressful of all of times I saw horses prepped. I know when we are working bison we don’t allow people even in the area till after we are done. The crew is better able to focus on their jobs, we aren’t stumbling over people and the safety issues aren’t magnified by extra numbers of people. There are the occasional media days but the media are escorted everywhere in small groups and not allowed to interfere with operations by close up filming or asking questions of the crew while working. I am sick to death of the lying. He’s probably a strong pro-slaughter vet. Stinks! Even if the horses were 100% healthy when released (lame isn’t healthy!) they’ve shown no evidence to the public to prove they had to be rounded up in the first place. They’ve also shown no reason it couldn’t have waited until the horses were closer, and the temp was lower. Worse-American Horse lovers are paying for the round ups with taxes! Why should we pay to see their freedom taken away? Doesn’t every horse loving little girl dream of wild horses? In reality you, the taxpayer, are paying a little over $3,000 per horse during a “gather”…a gather that should not even happen in the first place. The BLM is right into your pocket book in more ways than one! Can nothing be done to save Cloud and his mare? Heck of course it was well organised and taking special care (although it sometimes showed how it is normally handled), they knew they were under close scrutiny and couldnt afford to do things the way they normally do and as documented previously by Ginger and the rest of the Mustang advocates!!!! Plan Review has my home phone, I have also been talking to Jim. I have some ideas, need others to bounce off of. Hi Roxy … I dont think so. Carol Walker is a fellow photographer who has been following this whole thing, which is how I got involved, as a photographer and fellow horse lover. And in addition to this vet. making sure he said the correct thing so as not to upset the BLM, if you remember some of the early photos that were taken by Elsye Gardner, this guy was the one using the end of a whip handle to poke the horses including a foal in those squeeze chutes while sitting on his duff until he saw he was being photographed. That was when Elsye was removed from being a observer of the BLM’s activities. After that and the comments he relayed I don’t think I would ever allow him to work on any of my animals! The round up was for no reason, like RT said. They did this to show us no matter what we do they are going to do what they want anyway. They injured horses, they have old in holding that don’t have a chance. If you people weren’t there to witness this, it would of been alot worse. I am worried sick about Cloud and the herds facing winter with injuries. Why did they do this now ? They are having a conference Nov 4 and 5 with United horsemans front, pro slaughter people. They are claiming abandoned horses are mixed with the wild, therefore feral. Which we know is bs. There is a pattern here folks. Be prepared for more lies. I am going to Washington the week of October 18. Let me add this, and I am sure that it applies to all that were there at the gather, I have never felt so helpless in my life, hence the story…”They just kept coming”, there was no stopping it. Logic, legalaties…nada, zip, they kept gathering the horses. They only stopped when they realized that they were hurting them and we were getting it all on film. Otherwise, this would have gone badly for the horses. But there is no logic in play, here, none. I just don’t get it. With the million$ spent on roundups, how long would the cost of that go toward ‘taking care’ of these horses as is ? If they’ve got it to spend on the roundups, they have got it to spend to leave them alone. 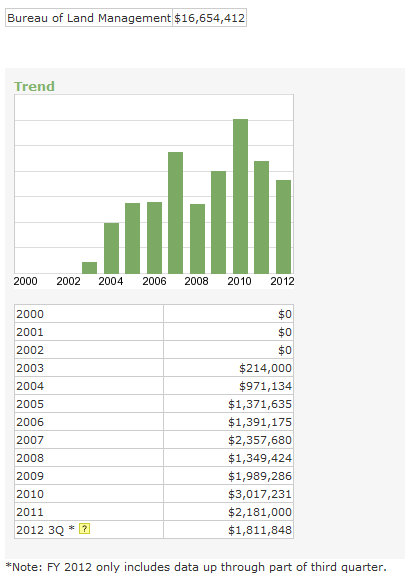 They keep bringing up the money factor…. Cripes! Has anyone check to see what blends of hays are being used to feed these horses? Hopefully it is straight grass hay and not timothy or alfalfa.. Changing these guys over from prairie grass to a protein rich hay like Tim/Al is a sure fire way to cause them to founder inside of a week.. Anyone? As I have said in many of my entries. The BLM has sent a message to wild horse advcates all over the United States and beyond. They targeted the Cloud herd for one reason and and one reason only! and it was to hurt the people that are causing grief for lobbyists and their cohorts in Washington. They struck back with one swift blow of their pens and inked the round up as a priority. We already got the answer as to why they did the round up. We don’t agree with it, but what the hell does the BLM care what we don’t like? Let’s face it,I mean they only singled out the most beloved herd of horses for the sole purpose to make a powerful political statement. The BLM feels they can do what they want,when they want and how they want and their isn’t anyone going stop them..
Now as we go off and lick our wounds they are rounding up more as we blog. I’m getting lost. Yes, the BLM has sent a message, and yes there is no logic to it. I feel like the BLM, DOI, whoever, is some little school yard group of bullies, but no one can stand up to them because they are, not only not accoutble, not transparent, but “protected”. Thier response to the increased budget to “help” the horse, as was clearly the point in the Senate appropriations bill by Senator Landrier(spelling? ), is going to be used to round-up another 12,000 horses in 2010. I feel the book/movie 1984 really has occured, double speak is in. I, today, believe “all human ability to reason is dead” and what little left will be “trampled” out by BLM types. They are clearly the pests, locusts among us, bent on destroying and trampelling everything. I finally just last night, got the point of another commenter – many wild horse “advocates” just really want to turn the wild horse into another breed stock called mustang, for profit, like has happened to the Kiegers (spelling again?). Sue Cattoor said it – “they all need to be rounded up” for their own good. Then she and McNabb types will start pumping them out like pupply mills. (Sen.Landrieu,Dem.La.) is just one person, so I wouldnt worry about that heavy estimated figure of 12,000 horses to be rounded up in 2010. I believe the projected wild horse round up goal for 010 is somewhere in the neighborhood of 4,500. Give of take of take a few hundred..
Back in 2002 the BLM made a long range pop. reduction projection to 11,000 by the year 2015. So far, according to the BLM’s virtual reports the wild horse numbers have exceeded 35,000. In all reality there are far less than that but, just how many are their? If wild horse advocates suspicions are correct, the BLM is probably right on target with their 2002 projection. So by the year 2015 there will be an estimated 11,000 horses left roaming free. I think it’s time that a new method of wild horse consensus taking should be explored. And the method is right at our finger tips. Regarding Sue (Cattoor) and family along with McNabb?..They should all be rounded up and muzzled! TCF reported the 2010 planned 12,000 horses was part of the BLM Advisory Board meeting statements, not from Sen. Landrieu. Sen. Landrieu was part of the $26 mil. increase to BLM budget to “help” the horses and demand BLM reform within 12 months. Its on-line – Google 2010 approriations, DOI BLM. But, thanks for the visual of Cattoors and McNabb being muzzled – that did make me laugh. At first I could not even figure out Cattors wanting to round up “all the horses for their own good”, as that would put their roundup business “out of business.” Another post on TCF – about plans (apparently taking place right now in some areas, and has for some time?) to introduce Arabians should the inbreeding start to cause problems. Wow, these people really don’t get it, or are just so comitted to continue roundups FOREVER – but, then any “reasonable person” would ask why? And there can be only one real reason = $. Because if the genetic blood line is breached – that is one less “tool” for advocates to save the horses! It will be interesting to see her comments in 2 or 3 years as to why they need to introduce some other horses – I’ll bet the Cattors will get paid to put those horses out free on the range – wait and see. Roxy..I errantly made it appear that I was combining the 12,000 horse round up in 2010 with Sen.Landrieu’s 26 million dollar appropiration bill. I was attempting to quell both of your concerns. The 12,000 horse removal plan is just a plan.. It wont get of the board. I can practically guarantee that..I have seen these plans before stall and die right in the laps of the crats that propose them.. Don’t fret because it wont come to fruition. They just to like unnerving the adocacy groups. Since posting my findings on the blog at The Cloud Foundation, Sue Cattoor has tried to change her web site, removing what she originally said. I do have proof and a copied screen of her changes as well as proof of all of my resources. I have spend endless hours researching the Pryor Mountain situation trying to figure out why such a small herd would be culled when so many experts including The Cloud Foundation has said that it did not need to take place and should not happen. The Pryor Mountain Mustang Center has done nothing to stop these round ups. The Cloud Foundation has done everything it possibly can. The board members of the Pryor Mountain Mustang Center are some of the same breeders there at the Pryor Mustang Breeders Association. Of course we know this not to be true and we know that over the past years The Pryor Mountain Mustang Breeders Association has introduced new horses when needed, NOT the ones that were removed. And although he states that it could reduce the herd even further as being a possibility, he never mentions that inbreeding was an issue at the Pryors. In fact, The Pryor Mountain Wild Mustang Center had quoted him saying in a letter earlier this year that. ” The higher the effective population size , the less chance there will be for inbreeding to occur.” He does go on to state that “the population size is what determines the genetic diversity within the population and thus how genetically viable the population is”. He states that the herd will not be hurt by a reduction of 188 to 130 ONLY because other horses can be added later if necessary. He admits that keeping the herd at 120 on the range could propose a risk of reducing the herd’s genetic diversity which is exactly what he later says can cause inbreeding. I see Sue Cattoor trying to twist what he has said. I hardly think it is okay to remove some horses just to add new ones later to SAVE THE HERD. Of course I am not a breeder that wants to add “new bloodlines” into the herd. I am just an everyday person that believes that it is unfair to remove ” some horses” from a herd knowing that it will become genetically un-viable only to add new ones in later. And stating that the ones that were adopted out would be the horses that would be added in at a later time is what I would call a flat out lie. The BLM is helping a breeding operation to breed better horses. It is just that simple, and we are flipping the bill. It is outrageous to remove just ONE of these horses to add even ONE other at a late time. The cost to remove just ONE horse is outrageous. I have emailed Sue Cattor to ask her why she suddenly has attempted to remove what was already said and I can not wait to see her response if any. Excellent commentary and research, Mary. You should spread this information around…but really, do you think Sue Catoor would crawfish? DOINK!!! But of course, you ought to hear her in person as she makes statements and doesn’t have the time to collect her thoughts in written word. I have heard her say how much she loves the wild mustangs and then closes by saying that all of them should be gathered up, adopted to good homes and then the rest should be euthinized…to me, that didn’t even warrent a reply. It would be like talking to the Mad Hatter so why waste the breath. My heart is heavy when I think of it all. The I get mad. I am going to stay mad and focused on what I can do to help. If you go to Sue Cattoors site now you will see that she is in the process of trying to remove what she should not have said but she messed up and it is still there. She admits that later they will add new horses to this herd. Dr. Cothran also admits it but claims it may be some that were just removed that will be put back. We know that is not true, and the Breeders Association flat out tells that they add horses when needed. I guess what drew me into this is the fact that expert after expert and TCF saying that this was not a necessary round up and yet The Pryor Mountain Mustang Center and Breeders Association did nothing to help them stop it. I had to ask myself why? And when I asked Matt Dillon from the Pryor Mountain Mustang Center too many questions that he didn’t like, he got very defensive. That was when I knew I was close to a truth he didn’t want to be told. They can change blogs and web sites to say something else but I have saved the proof of what was said and I will be sure to spread the word around. As far as I am concerned, The Pryor Mountain Mustang Center and The Pryor Mustang Breeders Association have crawled into bed with the Cattoors and the BLM. Like I had told Ginger, sometimes the enemy smiles in your face. The BLM has been experimenting on the herd with methods to control herd size to eliminate future roundups of Pryor Mountain Horses. Using an immunocontraceptive known as PZP (Porcine Zona Pellucida) the BLM hopes to keep herd size at range capacity. The PZP and natural predation will eliminate the need for future roundups.According to an article in the January issue of Western Horseman, the BLM claims that a roundup of 40 or so horses costs approximately $100,000. The PZP costs $21 per dose and is done using dart guns. So far, it is still there and she has 2 4s and 5s listed where she has obviously messed up. Who gets paid to put some horses back? And have they entered into discussions or contracts for that? At the same time they are contracted to remove them? Just wondering? Who pays for the horses they put back? And, I can see in some freaks minds, they will add an arabian mix or two here and there, so on one hand can say they are mixed so do not need to be protected, while on the other hand selling them as a rare breed, just not mentioning the mix, or down playing it. WOW! Sounds like a shell game to me, at taxpayer expense. This is impossible. Show me the video to back up this claim. NO horse would walk or trot calmly before a helicopter. If the vet lies about that, how should we judge the reliability of all his other statements? The Vets or other people saying that this herd is interbred to much does not have common sense. Any group of horses that live out in the wild and are 18 and above is an incredibly genetic marvel. If only our domestic equine companions where that healthy at those ages. So IS Cloud lame or Is he better? I can’t understand what is gong on and it seems nobody gets my messages. Someone PLEASE let me know! According to The Cloud Foundation Press Release today, Cloud and many members of his herd are still lame. Keep it up Mary, you’ve done some great researching!! I can’t believe that the Pryor Mountain Mustang Center is siding with the BLM! They can’t destroy our horses! And it really saddens me to find out that Cloud and many other horses are hurt because of them. Isn’t there anything, ANYTHING we can do to stop this madness? I thought of sending a message to Bryan Adams, the musician who composed music for the movie Spirit: Wild Stallion. He might be able to help… but i’m not sure and i’m also not sure I can find someplace to message him where he’ll actually get it… If anyone has any ideas, let me know!! I’m doing as much as I can to let my friends know about this horrible act by the BLM and asking ppl to sign the petitions! Our horses may not be able to speak, but Cloud seems to be able to help us show his dislike for the round-ups and the truth behind the injuries. Has anyone contacted Carnahan Ranch and others why they don’t take the 33,000 and train them insteaad of breeding? Maybe they have a good answer, though I can’t imagine. I can’t imagine they would answer me, but I’ll give it a try if suggested. I joined here to learn more, and wow have I. What madness is about breeding the vary same horses that the government wants to kill 33,000 of? I know no one can answer that – it is an insane situation, and how can you answer to insanity? Just boggles my mind! Breaks my heart! Today – The Pryor Mountain Mustang Breeders Association = pryorhorses.com – Google says link is broken. Then pryorhorses.com says Coming Soon, had to go through some hoops to get the the “registry” page, of which Google says at top of screen = “…as it appeared on Oct. 1, 2009…The current page could have changed in the meantime…” Then every selection is a broken link also. I printed the page, we all should – heading to Cattoors to print those pages as well. I think Mary has already answered these questions: Whats the deal with that? Bait and switch? Out of business, but will just open back up under a new name? I have done a print screen on everything that I have researched. If the changes are made, I will still have proof that it was there prior. I am not shocked at all that they may attempt to remove these statements. At one point, Matt Dillon Of The Pryor Mountain Mustang Center had also changed his Blog when I questioned him about this situation. I asked him how he can think it is okay to recommend removal of some, only to add others at a later time from the Breeders Association. He never responded to that question at all. The email that he sent to me repeated over and over how he was mostly concerned with keeping the gene pools pure and that “the ones that they feel will best represent the breed are kept and the others are recommended for removal by him”. It was when he felt threatened by my questions that I became suspicious. I also noticed that in his blog, Matt Dillon always has a positive spin on the atrocities that take place during the roundups. And when everyone else that was there as a humane observer was told that they had to leave on the day that Cloud was brought in, Matt Dillon was not asked to leave. He was the only one of the six that had permission to stay and observe. They were told that pictures could not be taken but he placed pictures that night on his blog. Matt Dillon has told Ginger Kathrens at the Cloud Foundation that “after 2012, there will be nothing to worry about”. How can he say that? I asked Ginger what he could mean by this and she said “no explanation was given”. We just have to do something to prevent this herd from being culled again in 2012. And if things go the way they have been, Cloud will be removed in 2012 since he will be over 10 years old. It has me very worried. Mary, Excellent – And I went back to try to find a detail, and the pages are back up – but they look different to me, but maybe not, as I didn’t get very far with this morning’s search, as my previous post indicates. So I don’t know if they have changed again, or were just temporarily down. I don’t know Mr. Dillon, and am not defending him – but I have that annoying way of seeing only the glass half full and I know it is annoying – drives people crazy, but really is not sinister. And it does appear to give me blinders to the other half, in this case, that the glass should be full all the way up. But, I am very analytical and do see the whole glass – maybe he just choses to voice it that way (I hope so anyway). 2012 – If able, I will take to the streets if anything happens to Cloud, he is the symbol of hope for them all. I’m not abandoning hope in Obama just yet – that change will occur, it may take a while to “trickle” down to BLM – pray before 2012. Mary, Again, you have done such a good job here – thank you so much! IT IS HARD TO EXPRESS ANYTHING WHICH HAS NOT BEEN SAID ABOUT THE HARSHNESS, CRUELTY, MADNESS, AND MISJUDGMENT OF PEOPLE IN CHARGE OF THE WILD HORSE/BURRO MANAGEMENT PROGRAM AND THEIR LACK OF REASON, COMPASSION AND COMMON SENSE WITH THE OBVIOUS “NOT OKAY” STATUS OF THE WILD MUSTANG AND THEIR MISSING FAMILIES. ANY GOOD WHICH RESULTED WAS BECAUSE OF THE WORK OF THE CLOUD FOUNDTATION, THEIR SUPPORTERS, PEOPLE OF BILLINGS, MT., AND THOSE WHOM ARE ARDENT SUPPORTERS I DO NOT KNOW, BUT READ ABOUT AND/OR PARTICIPATED IN THE PLACEMENT AND ADOPTION PROGRAMS FROM A VERY POSITIVE NOTE. PROPER TRIBUTE TO THEIR WORK IS DIFFICULT TO INCORPORATE WITH EVERYTHING WHICH WENT ON. THE FUTURE OF MANY OF THE “TRAPPED” MUSTANG IS SUPERIOR, THO NOT THE SAME AS BEING FREE WITH ORIGINAL FAMILIES. HAD THEY BEEN LEFT TO TO THE DEVISES OF BLM. IT IS SO OBVIOUS, WATCHDOGS ARE MORE THAN NECESSARY ON A CONSTANT LEVEL, IF THAT IS POSSIBLE. If anything was to happen to Cloud I know that we’d end up in a strike against them!! He’s probably the most loved, famous horse right now. This HAS to stop! I don’t see why they think all this is going to “help” the horses… Dillon and his so called friends are never gonna get away with whatever they have planned for 2012!!!!!! Tell people like Jery Dobrowski whom feels that wild horses are treated fairly and need to be kept in check with roundups and slaughter.Jeri seems to think that the BLM has a flawless wild horse management program which he calls a science. Jeri Dobrowski also feels that wild horses are an excellent resource for human consumption.. It is the Jery Dobrowski’s of the world that keep wild horses under siege by the BLM. Go ahead and ask her! What the HECK!!! “an excellent resource for human consumption..”??!??!?!?!?!?? They’re too beautiful and gallant an animal to eat them! They represent freedom even more than our bald eagles!!! This guy’s a freak! Before the round up began I spent several days sending emails and faxes to Senator Charles Schumer, Senator Kirsten Gillibrand, President Barack Obama, the BLM in Billings and several newspapers in addition to making numerous telephone calls. I regret to say that of all of these I have not received one single response. (so much for new communication between the white house and the public – as was promised). Therefore, I’m not surprised that such a senseless round up was allowed to take place. I conclude that it is senseless because the vet the BLM had to examine the herd admitted himself that the horses were all in good shape, very healthy and well nourished. Now the BLM in Wash. DC ( THE ONLY PEOPLE I HEARD FROM) did return my telephone call and said that the round up was necessary because the horses were undernourished. A clear contradiction. I think it’s safe to conclude that something is wrong with this entire picture. There’s a lot of corruption in this country. We were promised change but so far all I see is the same old same old. At this point I am disgusted. You know there’s gotta be something fishy going on when no one returns your calls and messages!! Funny you noted that contradiction in the vet’s report too! He’s just confirming what had been reported before: The horses are healthy and ready for the winter! I have trouble reading every reports I read about this. Tears and anger are there every time. My horse Magic showed me her world, and I now can’t accept that I almost missed knowing horses and all they can bring us. Being a technology fan living in the city, wireless phone, GPS and all, one cute filly fell in my life. I see life differently now. I can only question the ethics of our “Elected” leaders. I seriously question our right to live on this planet when I see what “developed” countries are doing with our environment. I’m scared at the fact that ONE group changed everything in North America in one day (9/11) but thousands of people, far more than these terrorists, can’t change OUR governments attitude IN YEARS! I’m sad everytime the BLM continues it’s roundup of pacific, fearful creatures under false claims, “for their health”. Destroying the families and kidnapping of so many humans would never be allowed, and public protests would go against those taking those decisions. But unlike humans who can defend themselves against invaders, wild horses won’t respond back aggressively against invaders, in helicopters or otherwise. Is violence the only way to get thing moving? Is the goverment waiting for more aggressive behavior? Florida must have invested more resources in finding who butchered those horses for meat in pastures than the BLM ever has to genuinely protect America’s wild horses in recent years. I feel lost. I just cannot comprehend how it can happen. I feel the outcome of this issue will seal our faith on this world. Will we deserve to live on this planet? Or will our planet turn it’s back on us? fight back. I really pray for the right action to be taken. This is so hurtful because we know not what might be the best solution at present. Once again, I feel my Native Americans’ Pain..broken promises. That is wgar drew me into the Pryor Mountain Mustang Center. They do absolutely nothing but if you go to theweb site, they talk as if they love theses horses. It made no seses to me how many experts including The Cloud Foundation were saying that this round up would leave the herd unviavle and yet they were not saying the same and did nothing to fight it. At first glance of the web site that they have, it appears that they love the horses and want to protect them. You have to read between the lines I guess because there is an absolute spin on Matt Dillons blog that tells the account of the round up. They make money on the Pryor Mountain Mustangs and yet do nothing to save them from these atrocities. After reading through the lines and filtering out the crap that he tried to feed us all, I realized that he was only concerned with the herd in teh perspectives that a breeder wanting to profit from these horses would be. Of course he denies it but again, he has never answered me when I asked one simple question: What has he done to help stop these round ups? mary, i’m not totally in the know about what matt & pmwhc has done or hasn’t done, but i will say that i’ve heard ginger kathrens (the cloud foundation) talk about some of the things (& on more than one occasion) that matt did to help in the overall effort (if you go to the tcf website & look back at some of the web radio listings, i think that you might be able to still hear some of them). one of the things that i can remember her talking about was that matt felt that it was unnecesary to do the roundup just to shoot the mares with pzp. according to her, matt spent a lot of time going up on the mountains to see how close he could get to each one of the mares. it sounded to me like he trying to present the case that, if fertility control was what was motivating the blm’s roundup of the pryor herd, they could easily get close to the mares, shoot them with the pzp darts from close range, & avoid the whole roundup itself. he was also there on the ground, identifying the horses as they came in, telling blm folks what horses belonged in what herds, trying to keep the families together as much as possible (& trying to avoid any MORE screw ups 7 problems than what the blm was already causing through the entire debacle). there were a couple of other things that she has mentioned about his work there…just from what i’ve heard ginger say, it sounded to me like he & pmwhc had put some effort into helping out….but of course, like i said, i’m not there…i’m just some poor slob living in the northeast, reading all this through blogs. who the hell am i to say? Mary, Cloud Foundation did nothing? They only took BLM to court to halt the roundup, lost, but delayed it 2 days and obtained further press for that. Then spent the entire roundup with R.T. and others watching in horror, to make sure the roundups were witnessed, giving us all reports on their website and Twitter. Then followed up on the released horses up the mountain and their condition. Then went to the auction to make sure all the horses got good homes, and even adopted/bought several themselves after an exhausting search to find a place to home them. Now working tirelessly to get the older horses they bought (all the horses actually) back home on the Pryors. Working tirelessly to get ROAM passed, spread the word through numerous radio inteviews. You are so good at research – this one must have just slipped through the cracks, as they say. PROBLEM IS “Public Lands” are lands that are owned by the “goverment”. This could be Federal, State, County or City. The federal goverment owns a lot of land that is for “public” use, National Parks, Forests, Landmarks, Monuments, open grazing areas, etc. The open grazing areas are managed by the BLM. Some of this is leased out to ranchers to use as cattle grazing areas or other things. Some is just open space. If the horses are on land that is managed by the BLM, the BLM can do what they want. It is up to US as Mustang lovers to change the law or whatever so we can save these beautiful creatures. The BLM DID stop the roundup early and Salazar is ” promising” !!!!!? to set up sanctuaries for these horses so MAYBE!!!!!!!! public opinion did do something. The Cloud foundation and other wild horse protective agencies NEED to get together and decide what is best for these horses, and let the public know so WE can band with these groups and see it is done! I don’t believe that public opinion is why they have decided to set up sanctuaries. I believe it is because The United States Senate recently passed a tough new bill that orders the Bureau of Land Management to institute a new plan for its management of wild horses. The legislation was introduced by Sen. Mary Landrieu (D), La. “Sen. Landrieu continued her efforts to protect wild horses by championing bill language to prohibit the Bureau of Land Management (BLM) from using taxpayer dollars for the destruction of healthy, un-adopted horses and burros,” the senator’s office said in a press release. The agency has one year to comply should the House pass a simalar bill. It would then go to the White House. The language was inserted in a Department of Interior appropriations bill passed Thursday. (see article below) I think it shows why they are in a hurry to set up sanctuaries. Their orignal plans can not be followed through with. I was talking about how the Pryor Mountain Mustang Center has done nothing to help stop it when the experts and The Cloud Foundation had done everything to stop it. I am still waiting on answers from The Center that I am sure will never come. They make money off of the Ptyor Mustangs so you would think that they would be FIRST to attempt to save them from these rounds ups. I did talk to Ginger and McKendra briefly about the situation on the Pryor Mountain Mustang Center. They both admitted that they too had problems with them but did not want to say too much. I won’t go into details about the conversations but again it is apparent to me that I was right after talking to them. Like I told Ginger, sometimes your enemy appears to be your friend and smiles in your face. They can fool some but they will not fool everyone and I am definitely not afraid to say it. How can we stop this ? Mike, how do we stop BLM? Excellent questions – that is what we are trying to figure out. This has already been a long and heartbreaking campaign by many wonderful people before I ever know there was a “wild horse” problem as seen by the government. On this site and The Cloud Foundation and related links for legal support, etc, etc, you will see so many ideas. Are the ways used by Wild Horse Annie now outdated. All these people, THOUSANDS of people, have written, called, faxed, e-mailed, signed petitions, met in Washington, DC, meet regularly by stone faced stiff as “boards” memebers of the BLM Wild Horse Advisory Board with distain. They are so warped – they made a comment that the public commenters just keep saying the same things over and over – Duh Yeh!. You know Wild Horse Annie started in 1950 (I recently read) and got the Free Roaming law passed in 1971. At the rate the BLM is going and with the Salazar plan on the table (what a joke it appears at this time anyway ) our horses don’t have 20 years to be “re-protected”. But if we count from the first Cloud airing – maybe we are almost there. I believe the ONLY way to stop this is to put pressure on our President. If the letters to him and his wife (and maybe daughters?) don’t work then we need to get the press involved and let them know he is not cooperating. HE Is the only one who can stop this! 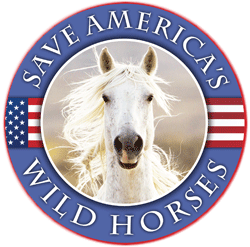 Now not only are the BLM going to round up approximately 3,000 horses in the Calico Complex, Nevada, They are going to round them up in the winter!!! O_O There’s no other way to spell out cruelty then that!! The expect these horses to run in terror in the freezing temperatures and the snow?!?!?? I’d be surprised if they make it out alive without a horse collapsing from exhaustion and dying… They need to be STOPPED!!! WAKE UP PEOPLE! the ONLY one who can stop this is the president and HE is ignoring us! We NEED to flood his office with DEMANDS to stop this. HE Is the only one who can. Talk is cheap – actions speak louder than words so stop complaining and DO something! the Las Vegas I report Stampede into Oblivian help but the were viewed by a limited audience. So what can be done to get the word out to slap people in the face and say wake up playing nice moves to slow to save these horses. The BLM is on a mission to get rid of their problem thats plain to see they hire criminals to remove at no small cost to the tax payer they color coat their lies they make the reacords reflect what is good for them. Something needs to be done to stop them.